Made in New England: Wee Forest Folk M-623 Broom to the Moon! Created by Wee Forest Folk. M-623 Broom to the Moon! 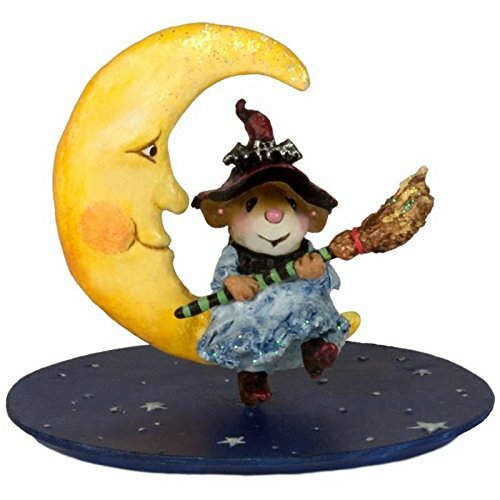 This little witch is hanging out on the moon - what a nice way to spend an evening! 1.875" x 2.125". Wee Forest Folk® is a small family business which delights in producing a line of miniatures - most of which are mice. Cast in resin from original sculptures created by the Petersen family, meticulous painting brings each one of these sculptures to life. Made in the USA.